Jack the Giant Slayer may be a retread of a well-known fairy tale, but it’s a carefully accomplished retread, filled with action and plenty of fun CGI. 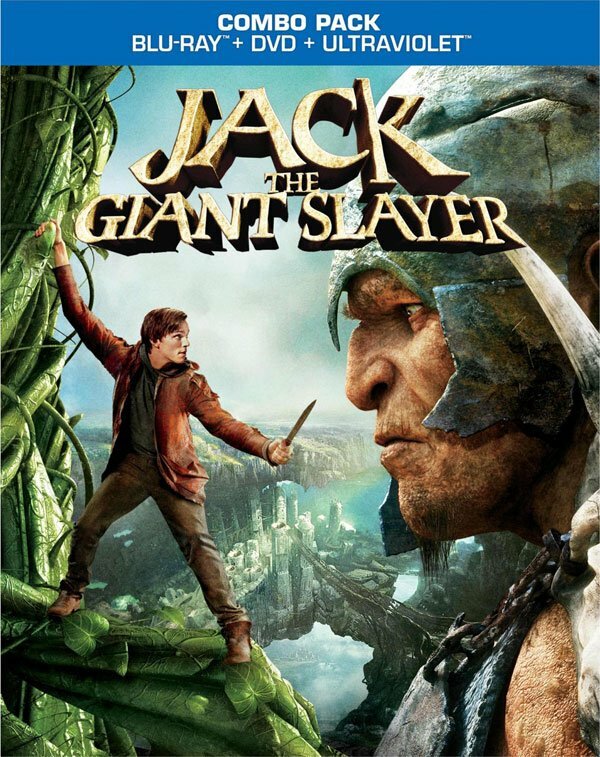 Directed by Bryan Singer, the X-Men and Superman director’s experience with big budget extravaganzas offers a reason to give Jack the Giant Slayer a shot. Throw in Ewan McGregor and recent young heartthrob Nicholas Hoult and audiences get a competent and capable film with a competent and capable cast that would have just needed a little more edge and innovation to push the film to the next level. This isn’t to say Jack the Giant Slayer is bad. Audiences should be able to invest in the constant plights of dreamy Jack, a youth of eighteen with a romantic outlook who grows valiant when tasked with saving a Princess named Isabelle (Eleanor Tomlinson) from a land filled with giants. Everything from Jack’s wry grin to his endearing fear of heights makes him a familiar character with enough quirks to be arresting. He’s not the action hero audiences have come to expect, but he works for the purposes of the film. Other characters, however, are not as bold and bright, or even as inventive. Audiences are treated to a half-hearted Prince Humperdinck sort of character in Lord Roderick (Stanley Tucci). While not a prince, the advisor has plans for winning the crown, many of which hinge on the safety of the princess, whom the advisor cares little for. King Brahmwell (Ian McShane), too, is mostly there to assert that a relationship between a farm boy (as in Jack) and a princess (as in his daughter) is impossible. With a 114 minute running time, I wish we would have gotten a little more conflict or a more intense bad guy. Still, despite some storyline problems, Jack the Giant Slayer is a reasonably fun adventure story. Indeed, Singer peppers sight gags and quips throughout the film in order to keep the moments between action sequences from going dull. There’s one significant moment featuring the growth of the famed beanstalk that is low on surprise but offers some humor thanks to a cat who seems to supernaturally be in the know that the stalk is coming. If you like breezy jokes like these, as well as enthusiastic acting, Jack the Giant Slayer is an adventure tale that’s worth a watch. You can order Jack the Giant Slayer over at Amazon. Best Special Feature: Some of the features available with the set are interactive and geared toward a younger audience, including “Become a Giant Slayer.” If I were a child, I would probably have loved this bonus feature, but as I am not, the interactive component actually became quite annoying. There are actually very few extras available with the set. Of these, the best is probably the deleted scenes, which offer a different interpretation of the tale of giants which is explained to audiences at the beginning of the film. In the deleted scenes, the story is a little more nightmarish, but worth checking out as long as you don't have kiddos sitting nearby. South Korean director Park Chan-wook's filmography is peppered with immaculate framing. His latest (and English language debut) is Stoker, a sumptuous, dark movie about a wealthy but dysfunctional family, as well as the unusual awakening of a young girl. When father Richard (Dermot Mulroney) dies, the large rift between mother Evelyn (Nicole Kidman) and daughter India (Mia Wasikowska) grows wider. Instead of becoming a film about women and spite, the two are distracted by Charlie (Matthew Goode), Richard’s long adrift brother who capably inserts himself into the fucked up family dynamics. While Charlie is seemingly there to put the moves on Evelyn, it’s his relationship with India that makes for the more interesting story. On paper, India and Charlie are little alike. She’s sullen and withdrawn, with great hearing and a weird attitude, while he seems suave, socially capable and engaging. Unforeseeably, the young girl and her youngish uncle are drawn together in a plot that’s as dark and moody as the atmosphere of the flick itself. Stoker’s vision is often better than its script, with hairbrushes morphing into lush fields via quick cut-tos and plenty of slow-moving, nature based shots. The stylized vision is at its best in a few flashbacks, when India and her father spend time hunting together in the woods and when Charlie and Richard hang out as children. As a whole, the film itself is at its best in the quieter, emotionally distant moments of longing and pain. Stoker isn’t the type of movie everyone is going to love. It’s not the type of movie that plays to even a decently wide audience, but the spooks and style are the type of things that will resonate with the right viewers for quite some time. You can order Stoker over at Amazon. Best Special Feature: Fox Searchlight has put together a rather nice set for a film made on a small $12 million budget that didn’t fully make its money back. Even the packaging for the Blu-ray set is eerily beautiful and also comes with the added bonus of a digital copy. My favorite extras were a set of behind-the-scenes segments that look at everything from the creation of a promotional posters and artwork for the film to the director’s experience with his actors on set. Like the movie, the bonus features are carefully crafted and interesting. If you nab a copy of the film, give the bonus content a shot. A late night out. A bunch of college era mistakes and madness. Girls worth fighting for. Lots and lots of alcohol. These familiar tropes are all a part of Twentieth Century Fox Home Entertainment’s brand new Blu-ray release of 21 & Over, and the box art loudly proclaims the writers of The Hangover are also involved. However, what this film has outside the fodder of normal college nonsense comedies is Miles Teller and Skylar Astin, the first who wowed audiences as an unknown in Rabbit Hole and the second who won over hearts in Pitch Perfect. The two familiar faces are accompanied by Justin Chon on their adventures, whose character, Jeff, spends a majority of the film passed out. Somewhat like Justin Bartha’s character in The Hangover franchise, he’s more often a topic of discussion and mystery than a real asset in the film. 21 & Over is a raunchier film than we’ve seen from the young actors, but the movie is still familiar territory for Astin and Teller, who have often played characters younger than the mid-twenties the two are actually at, age-wise. Unfortunately, while 21 & Over will offer enough laughs to perhaps make the 93 minute run of the film worthwhile, some of the movie’s wilder scenes detract from the comedy. From professors taking acid and dancing to buffalo escaping and mauling overly aggressive cheerleaders, 21 & Over doesn’t feel like the type of college movie that could really exist in real time and space. Most of its characters are too close to caricatures and most of its events are too far beyond normal night-gone-awry shenanigans. Making a movie about an over-the-top night has worked in the film industry for years, but creating a movie that often doesn’t make any sort of sense detracts from this standard formula. 21 & Over is somewhat saved by its likeable cast, which also features TV frequenter Sarah Wright, who plays the love interest and girl-next-door character in the film. When 21 & Over is tackling issues like girls, school, and friendship and peppering those moments with sly or bombastic humor, the movie often works, but when it is introducing bulls and hot brands it more than often doesn’t. Despite the polarizing effects of the movie’s different scenes, it’s not the worst use of time, ever. You can order 21 & Over at Amazon. Best Special Feature: Really, the extras on this disc are not worth writing home about. The best segment is probably a short featurette called “Levels of Intoxication,” which gives audiences an idea of the work Chon went through to portray a mildly intoxicated character as well as a puking, ill drunk. Season 2 of Wilfred continues to follow the adventures of a pliable character named Ryan (Elijah Wood) and his neighbor’s loudmouthed and ill-behaved dog named Wilfred (Jason Gann), whom Ryan sees as an adult Australian dude in a dog costume. If the concept seems strange and a little dark, the comedy is even more so, ranging from heavy drug use to scenes straight out of a hellish nightmare, with jokes. If you expected anything less from a buddy comedy about a dude with mental problems and a dog-costumed individual who is unlikely to be real, you may be the one off of your rocker. I didn’t think things could get any weirder on Wilfred than the Season 1 episode where Wilfred had “a gift” where he was able to tell when old people were about to die. However, as the series progresses in Season 2, things have gotten a little darker for Ryan. We are introduced to more plotlines where Ryan seems to be hallucinating, and just when things seem to be looking up for the character, they invariably get way worse. Season 2 introduces fans to Amanda, a girl who is super into Ryan and who is played by Smallville’s Allison Mack. Ryan really needs a girl to keep him from pining over his neighbor and Wilfred’s owner, Jenna (Fiona Gubelmann) who has a boyfriend, Drew (Chris Klein). Amanda seems like she might be just the ticket to keeping Ryan a functional and somewhat normal human being, but like every character on this show, things are a little more complicated than they at first seem. Unlike some TV networks, FX is usually pretty good about putting together Blu-ray and DVD releases for its original content. 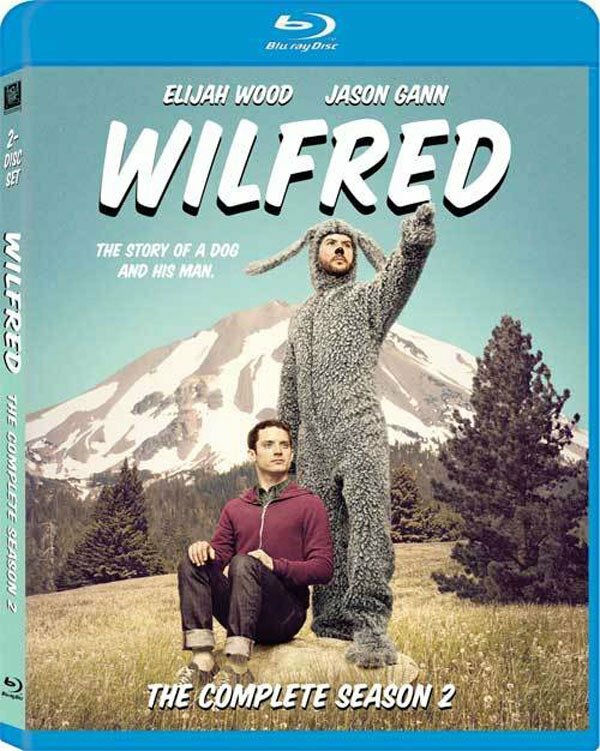 Fans of Wilfred can roll with either, and although I haven’t seen the DVD copy, it doesn’t seem like the type of set where the Blu-ray is far superior. The usual suspects for comedies are available on this disc too, with a blooper reel and some deleted scenes making up the bulk over the bonus features, although Blu-ray copies do include an exclusive short called "Stay." I highly suggest catching Season 2, but however you opt to do so should be just fine. From cheery midwives working amidst the drudgery and poverty of the Poplar district in the 1950s to three dudes reliving their college days while working in the American corporate system, this week also has plenty of TV fodder to offer fans, as well as a few more movies. You can check out some more of this week’s releases, below.